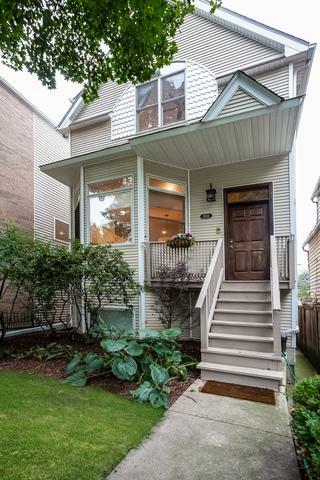 Don't miss this beautiful, sun drenched 4 bedroom/3.1 bath home located in Roscoe Village! The home offers an a unique extra-wide open concept floor plan with throughout the main floor. It features a living/dining combination that sits off the open kitchen. 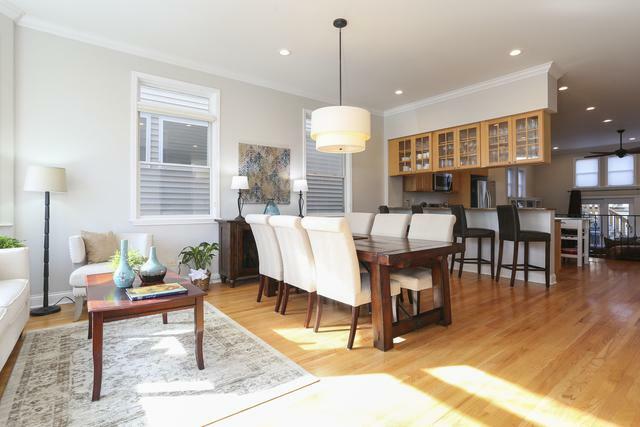 The kitchen is centered in the home perfectly for formal or casual entertaining. 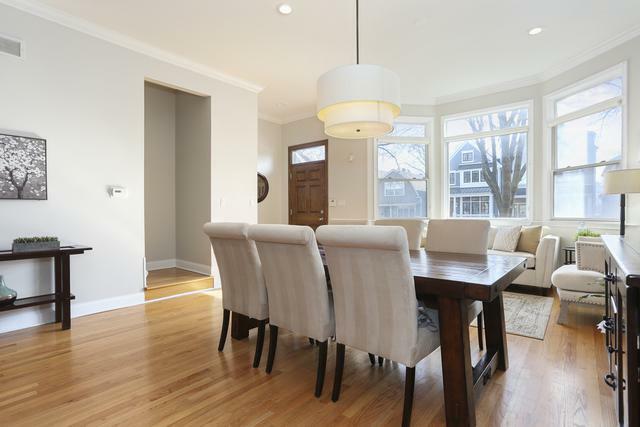 The oversized sunken family room features custom built-ins, fireplace and mudroom. Enjoy indoor/outdoor entertaining with a two tiered deck including roof deck w/ built-in seating and pergola. Upstairs offers 3 beds/2 baths, vaulted ceilings and side-by-side laundry. The generous master suite includes a huge built-out walk-in closet and spa like master bath. The lower level family room includes fresh carpet, 2nd fireplace, and dry bar perfect for entertaining. The fourth bedroom sits off the family room and is full of light. 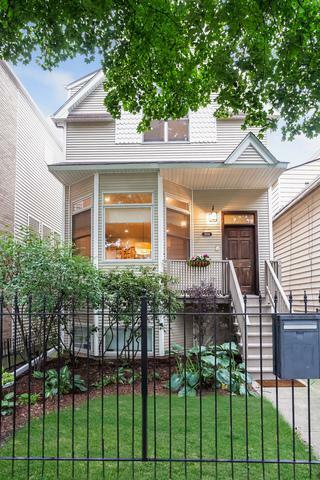 Walk to Hamlin Park, Starbucks, Mariano's, and the heart of Roscoe Village bars and restaurants!